As the countdown continues to the Rugby World Cup, the nation and its denizens are gearing up for what promises to be an exhilarating six weeks of joy, heartache, record-breaking and giant-felling. It may only be the 8th Rugby World Cup, but the tournament is steeped in the grand tradition and heritage of mankind’s most contradictory game, a game at once elite and inclusive, gentile and rugged. And there can be no more apt choice to host the World Cup than England, where 16-year-old William Webb Ellis invented the hallowed game in 1823. From September 18 to Final Day on October 31, the eyes of the world will be fixed keenly on the 20 teams striving to achieve their dream. Yet, while much ink will be spilled over each match, little attention will be paid to the logistics and effects of hosting the world’s third biggest sports event. Dig into the sometimes startling, sometimes awe-inspiring stats below to get to grips with the impact of the world’s premier rugby tournament. More than 5 million– The number of applications made for the 2.2 million tickets available for the tournament during the general sale window last September. 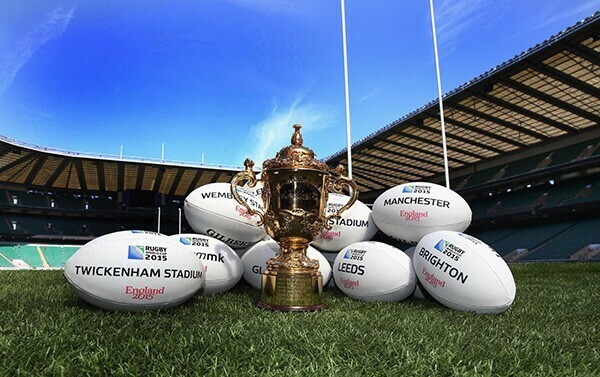 466,000– This year’s Rugby World Cup 2015 is expected to attract more international visitors than ever before, with 466,000 international visits predicted by Ernst & Young. 1,160,000– The number of tickets expected to be sold for the 17 matches held in London. Expect an atmosphere in the capital akin to that generated by the 2012 Olympics. £1,195– The cost of the exclusive Sports 2015 hospitality package, which includes pre-match entertainment in the Westminster Plaza, as well as a ticket for the final at Twickenham. £59,000– Unofficial ticket sales have pushed the price of a Cat A seat for the final to almost £60,000, a remarkable leap from their face value of £715. However, 405,000 tickets across the entire tournament have been made available for £25 or less. £2.2 billion– The incredible figure hosting the Rugby World Cup will be worth to the economy, as estimated by Ernst & Young. £32 million– Sales of food and drink in the stadia alone will generate up to £32 million of revenue throughout the tournament. 81,605– The capacity of “Fortress Twickenham,” the world’s biggest dedicated rugby ground. 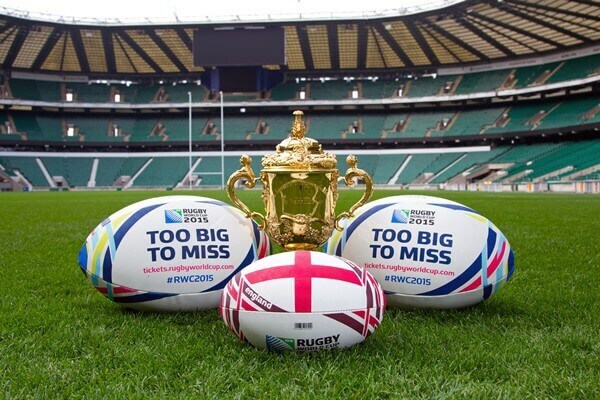 Twickenham will host ten Rugby World Cup 2015 games, including the final. 24 million– The Rugby Football Union estimates that 10-12 million in England are interested in rugby throughout the year. It expects that figure to double during the World Cup. 4.3 million– The number of extra journeys expected in the host cities over the 44-day event. Those hoping to beat the public transport crowds by driving their own vehicles should note that there is no parking available at the majority of match venues. While the figures are undoubtedly impressive, they paint a picture of a London overwhelmed with visitors and a public transport system sagging under the extra weight. Whether you are a fan prepping for the tournament of a lifetime, or a business owner seizing the golden opportunity of impressing clients with a much-sought after outing to a Rugby World Cup game in London, Mercedes Chauffeur Hire’s rugby chauffeur service is a must. Avoid public transport headaches, logistical nightmares, and last minute stresses with our dedicated luxury ground transportation services. Travel to the game in style in one of our fleet of Mercedes S-Class limousines of Mercedes Viano multi people carriers – and easily escape the post-match crowds as you are chauffeur driven to your next destination. Find out more about our specialist rugby chauffeur service here.